This study shows that cutting fat is enough, so YAY! 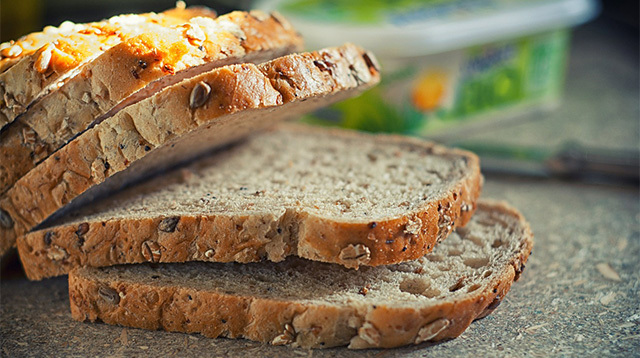 Carbs have been blamed for weight gain and health risks like obesity since the '90s. The best thing to do when it came to healthy eating then seemed to be cutting the carbs entirely and having a high-protein diet like Paleo, which is about eating what our primitive ancestors ate: lots of protein, no dairy and processed foods, and barely any carbs. This was thought to make people much healthier hence live longer. But a study published just a few weeks ago in the Quarterly Review of Biology found that carbs, because they're the best source of glucose, are essential in our diet and has been so for our primitive ancestors as well. Scientists at the University College of London theorize that Pleistocene hunters consumed tuber, starchy plants rich in glucose, which allowed their brains to grow to the size of modern-day humans'. If carbs having an effect on human brain growth or development isn't enough for you, another new study by the National Institute of Diabetes and Digestive and Kidney Diseases will change your mind about carbohydrates. The researchers had 19 obese participants; one half was fed a low-carb diet and the other half was fed a low-fat diet for two weeks. And guess what? Both groups cut their calories by 30 percent, and everyone lost a pound of body fat. Could this really mean you're just as well off cutting the fat than carbs like rice, pasta, or bread? Susan Roberts, a professor of nutrition at Tufts University, says "The great thing about this study is that it is strong science. So much of what gets published in nutrition...these days is weak stuff: non-compliant participants, poor methods, not enough subjects, self-reported data, etc." Nonetheless Susan still advises watching the carbs you eat. Some studies found that people lose more weight on low-carb diets (but that could be because they end up cutting more calories). Others found that some carbs aid in weight loss because they contain fiber or fill you up and make you eat less in your following meals. More importantly, some carbs, like added sugar in soda and other drinks, harm the body. So don't worry about consuming some carbs especially when there are no sugars added to them. They have good use for your body and still give you a balanced diet—which is honestly still the best diet out there since it gives you a wide range of nutrients.